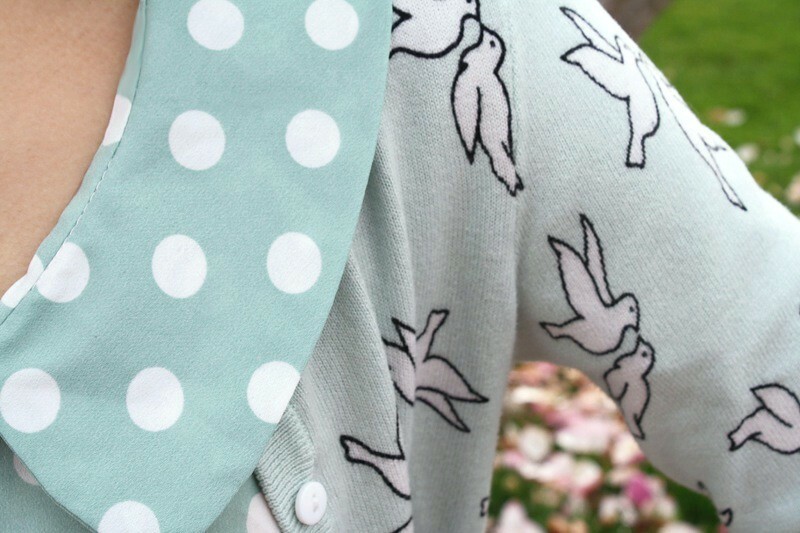 Yayyyyy love it cardigan birds!!! I love this!! 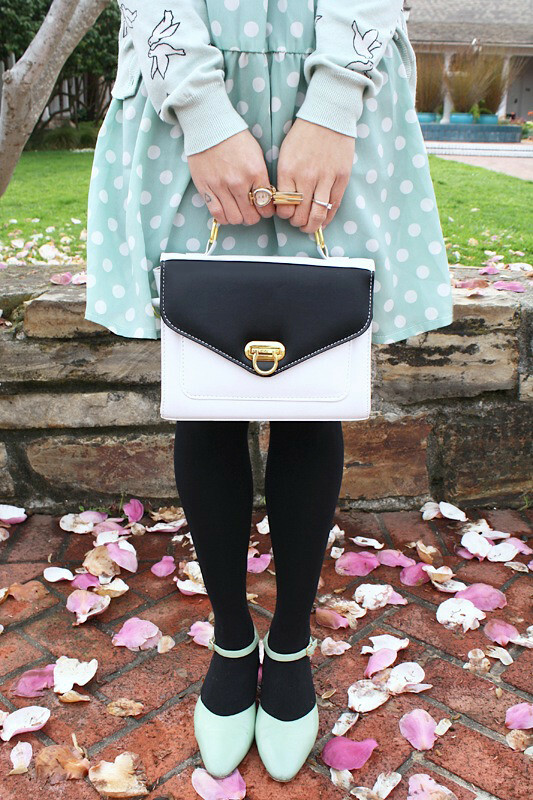 So many great details on this outfit, from the dove print to the polka dots to the amazing vintage shoes. 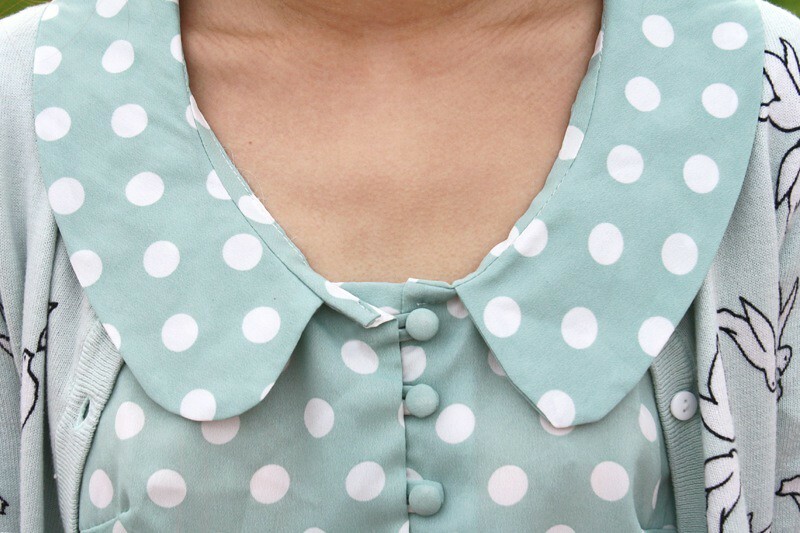 I did the same thing as you by the way-- wore mint instead of Kelly Green! 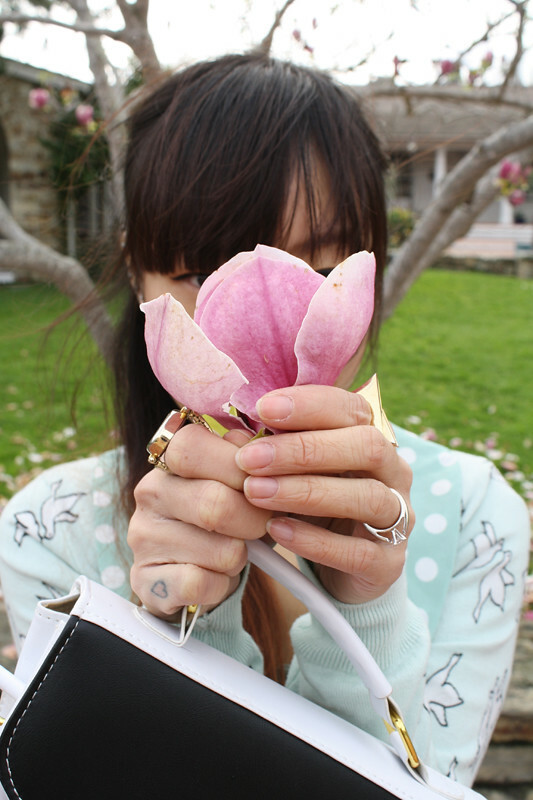 I love how pretty and cute you look, plus, how pretty is all that blossom, I love this time of year! 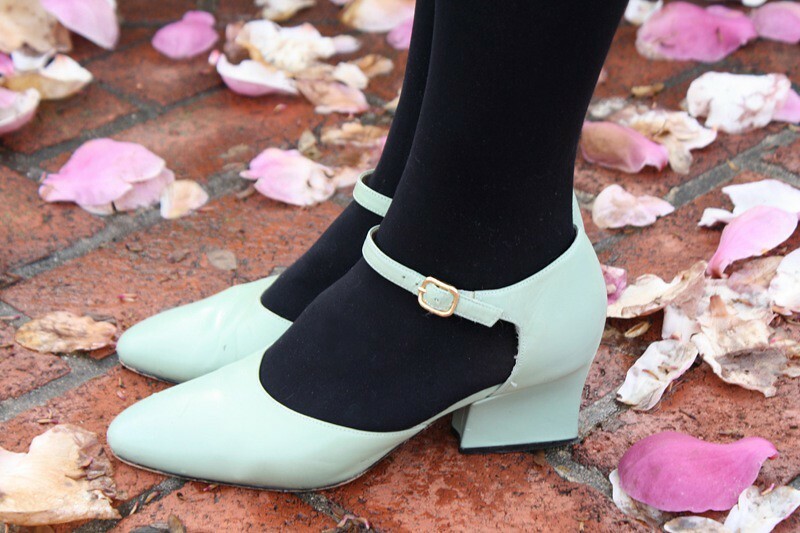 I do so love mint green. 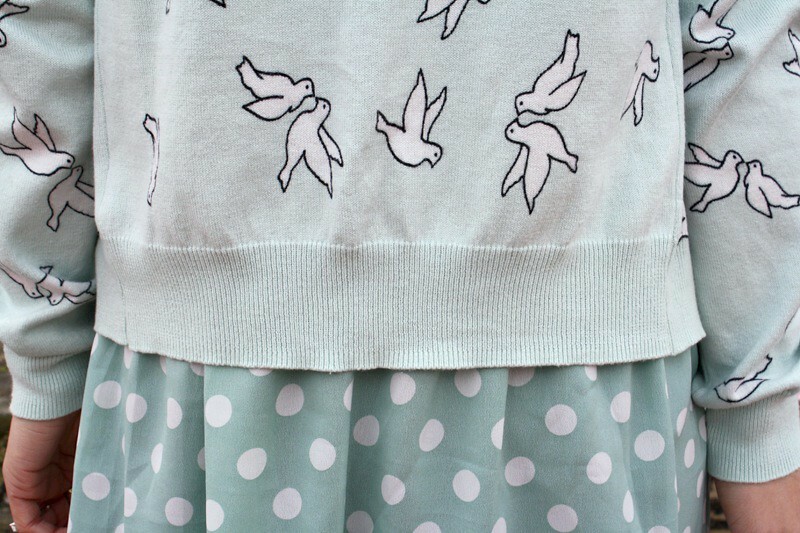 I love the patterns you mixed together. 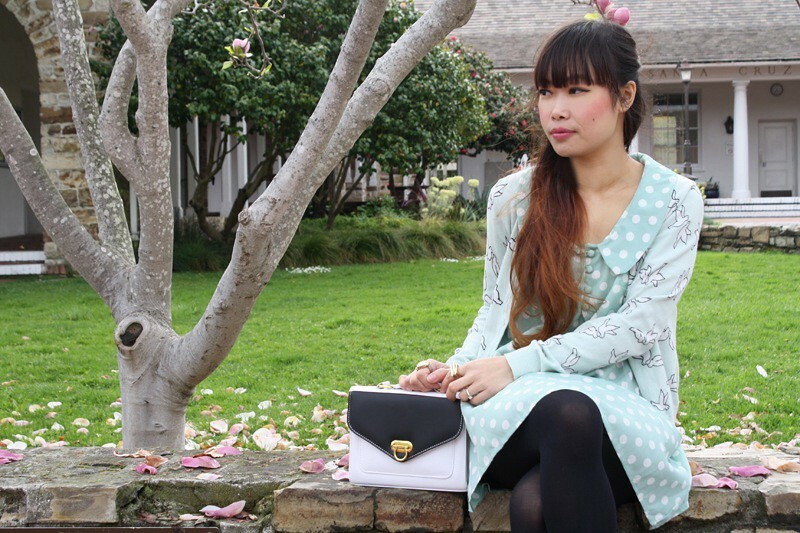 So lovely and feminine! I like the spin on St. Patty's Day green a lot! those shoes are incredible. i was gna click and buy em buy theyre vintage :( of course!